A nationwide time of worship is one of the best parts of Dare 2 Share LIVE, and Vertical Worship will be leading it in 2019! There’s no one better to reach a teen with the gospel than another teen, and we want to help YOU equip teens in Delaware to share the gospel! Are you ready to see teens in Hawaii get stoked about the gospel? 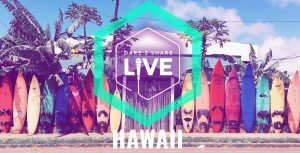 Join us as the islands’ first Dare 2 Share LIVE Satellite Site this year! If You Live in New Hampshire, We Need You! Hey New Hampshirites! We’re looking for churches to be Satellite Sites for Dare 2 Share LIVE 2019. Will you jump on board with us? There’s Nothing More Exciting Than Teens Reaching Teens! 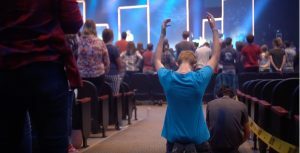 Dare 2 Share LIVE 2018 was a day where thousands of teens learned to reach others for Christ. There’s nothing more exciting than that!